Within the weekly scientific activities (i.e. 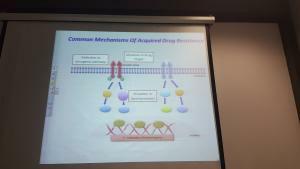 lectures and workshops) provided by the Staff-Member Development Unit at the College of Pharmacy, a lecture was given Dr. Ashwaq Al-Bukhary, Assistant Professor at the Biochemistry Department at the Sciences College, King Abdulaziz University (KAU), on Thursday, 2nd November 2017. 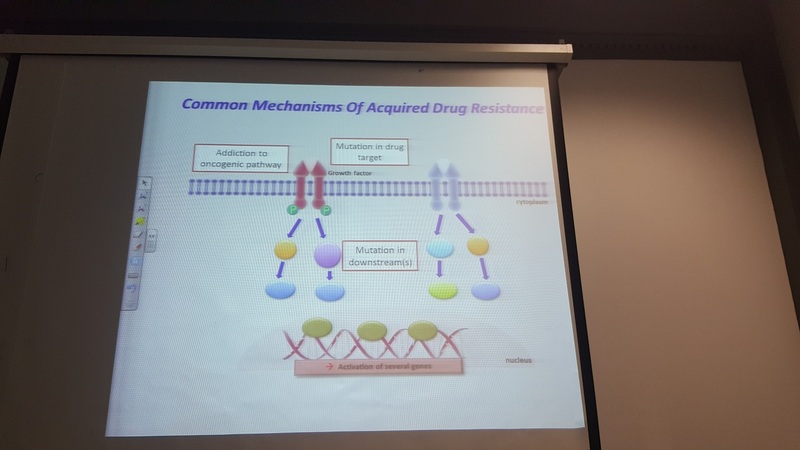 The lecture was titled, “Targeting the EGFR Cellular Receptor in Triple Negative Breast Cancer and Cancer Cell Treatment Resistance Mechanism." 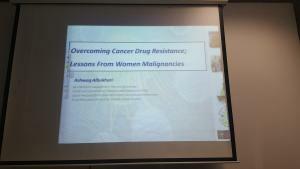 This lecture is the result of the PhD research of Dr. Ashwaq Al-Bukhari in the treatment of cancer tumors from Oxford University. Through such research, Dr. Al-Bukhari was working on alternative treatments for chemotherapy for breast cancer patients. 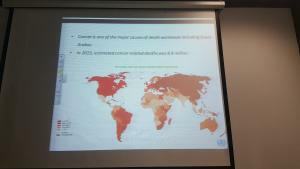 Within such distinctive research, which was presented as a scientific paper in global breast cancer treatment conferences, Dr. Al-Bukhari pointed out that breast cancer was distinguished by the researcher based on the lack of three cellular receptors on the surface of these cancerous cells. In other words, such type of cancer represented 16-17% of breast cancer, as there were no useful treatments for it. She explained that current treatment was based on chemotherapy, and that current studies were seeking alternative therapies for chemotherapy for such category; this target had not yet been reached. Dr. Al-Bukhari was able to identify the causes of weak initial response to this category and identify a new mechanism that might increase the effectiveness of this drug. This was as the laboratory results were proved on the cancer cells of this type and on the experimental mice as well. 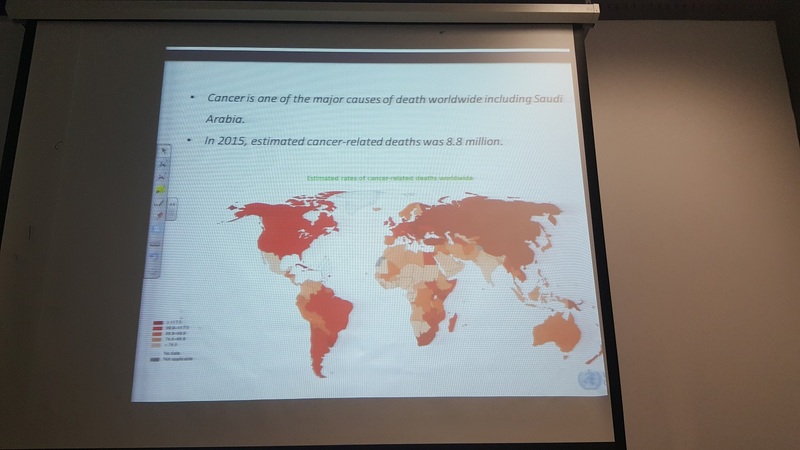 At the end of the lecture, Dr. Al-Bukhari answered the questions of staff members who were interested in scientific research in the domain of breast cancer treatment.